The golf course was design by James Braid in the Belleisle estate in 1927 who incorporated natural features of the landscape into genuine challenges and character building of the golf course. Although the golf course is not by the sea unlike its neighbours the Ayr golf course enjoys tranquil park feel with mature trees lining the fairways that are found to be much more lush and green than that of the Troon, only a short stretch up the coast. Carnegie Golf club belongs to the Skibo Castle which was once home to Andrew Carnegie who bought the property after making millions out in the United States. The golf club stands today as membership driven course which has limited reservation spots open to visitors. The course has stands with spectacular wild scenery with views of Dornoch Firth to Struie Hill in the same essence of Scotland. The North Inch course at Perth has never been one of the most testing in Scotland’s inventory of golfing courses but it is one of the most historically important. There is on record reference to the game being played there as far back as 1599, but it seems certain that there were golfers on this stretch of the Tay River since King James VI and Mary Queen of Scotland. 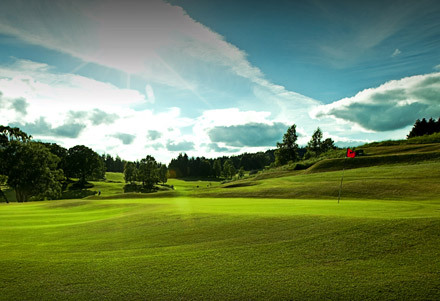 Pitlochry golf course has the beauty, vista views and fresh crisp air. With the no frills and withdrawnness from pretension the golf course offer the simple yet elusive real and welcoming golf club where visitors come to enjoy themselves and are never disappointed. The club may never host the Open Championship but it offers the annual Highland Open Amateur Tournament for men and ladies which attracts many a crowd. Durness golf club established in 1988 offers the experience of balancing on the edge of the world through human eyes. Golfers simply can’t get much further north in mainland Britain in pursuit of matters royal and famous. The golf course looks out towards the North Sea which in its self brings in a crisp sea breeze with fantastic scenic view to the course. The golf course is fair new only having been constructed in 1995, showing what can be achieved on a modest budget with prudent planning and expenditure. 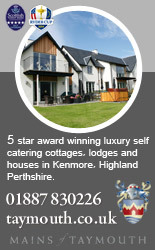 The golf course soaks in spectacular views across the Firth of Forth, with lush us fields of grass and heather.